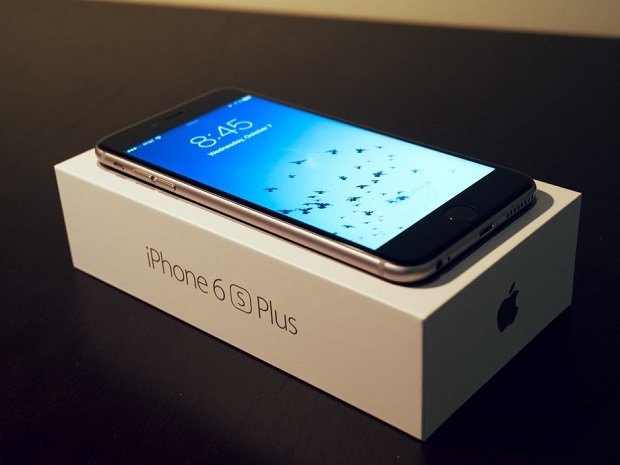 A lot of people who are using the #Apple #iPhone #6SPlus are fans of a large screen device. This particular model has a 5.5 inch screen making it perfect for various multimedia tasks. Playing games, watching videos, or even browsing the web can be easily done when a phone has a big screen. While this phone is being used as a reliable daily driver by a lot of people there are times when certain issues can occur which we will be addressing today. In this latest installment of our troubleshooting series we will tackle the iPhone 6S Plus makes clicking sound when typing issue & other related problems. Problem: I had a third-party replace my iPhone 6s Plus screen, he did a terrible job and of course, has never answer my calls since. When I first did a small diagnostic, I noticed the two bottom pentalobe screws were missing, and so I took them to a repair store and they just put the screws in there and they also mentioned that there were some screws missing on the inside. The problem I’m having, is that the screen, when I am texting, sometimes makes this weird click sound in the letters M,P,L, and the backspace cause the phone to type multiple letters at once. It happens with letters at the top of the keyboard also. Also, when I am in safari it randomly zooms in for no reason. I had the repair store put the screws back in that were missing, and I was sure that would fix the problem. It did not. My hope is that I can use my own repair set that I just purchased to pull all the screws out and make the sure the connector is working. Nevertheless, the guy at the repair store told me I may just have a bad part. Your thoughts? Thank you in advance. Solution: If you have the tools necessary to take out the screws and connect it again making sure that it is secured tightly then I suggest you do it. Sometimes a loose connection can cause screen related issues. Make sure to also check that the ribbon connector wire from the display to the motherboard is secured tightly. If the issue still persists after checking all connections then the problem could be caused by a defective display. If this is the case then you will need to have this checked at a service center. Problem: Bought an iPhone 6s Plus without any screen or its original home button. Bought new screen and home button. As far as I know, the phone is iCloud locked. Screen works fine but home button isn’t (not original). Gives me a message saying “Unavailable to activate Touch ID” which I understand that without the original home button iPhone can’t read the home button. My concern is since home button isn’t responding, not even with a push will I get to the screen, I would like to access Siri with a push of the home button. How do I troubleshoot this problem? And I’m not sure what IOS is running on since I can’t get into the phone nor would I want to restore it just yet. Solution: If you replace the home button of this particular model you will lose the Touch ID feature however you should be able to use the ordinary home button functions. Try to check the connections again and make sure that everything is in order. You might also want to check out this link https://www.ifixit.com/Guide/iPhone+6+Plus+Home+Button+Assembly+Replacement/29706 which shows the propery way to replace the home button. Solution: AppleCare can be bought anytime within the original one year warranty period. However, it won’t be a good idea to get it right now since AppleCare does not cover the warranty against accidental damage. Right now you need to bring the phone to a service center and have the phone fixed. Solution: For this particular problem you should backup your phone data then restore your phone as a new device. Once this is done don’t install anything in your phone yet. Instead, try to check if the problem still occurs. If it does then the problem could be caused by the replacement display assembly. I recommend that you have this checked at a service center.